LOCATION: Miami-Dade College Medical Campus. Relationship with 4 orange squares. This is a sign giving directions to different locations on the campus. Shot while I was there working on a story about refugee doctors. 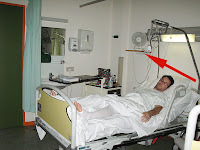 LEFT: On 8/9/09 in my room (209) at CHU Ambrose Paré Hospital in Mons, Belgium. 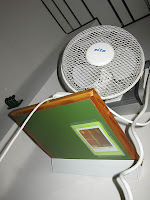 Just under the shelf where Linda's placed our fan (no AC) which I could see from my bed as I recovered from surgery. 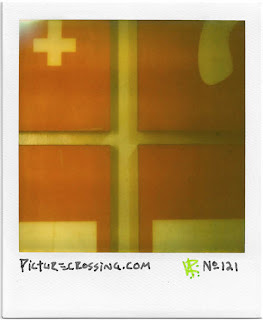 CROSSED WITH: PX No.227 which was shot there.